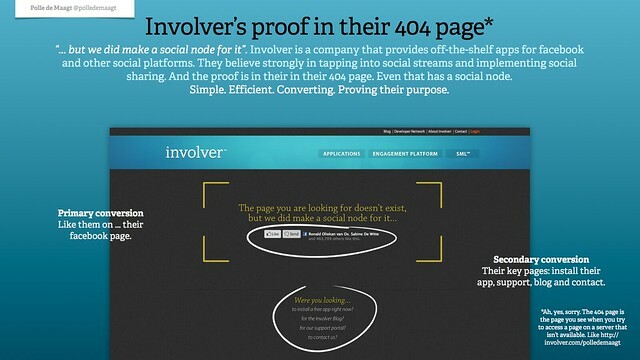 Involver's proof in their 404 page » Acts, not ads. Involver is a company that provides off-the-shelf apps for facebook and other social platforms. They believe strongly in tapping into social streams and implementing social sharing. And the proof is in their in their 404 page. Even that has a social node.